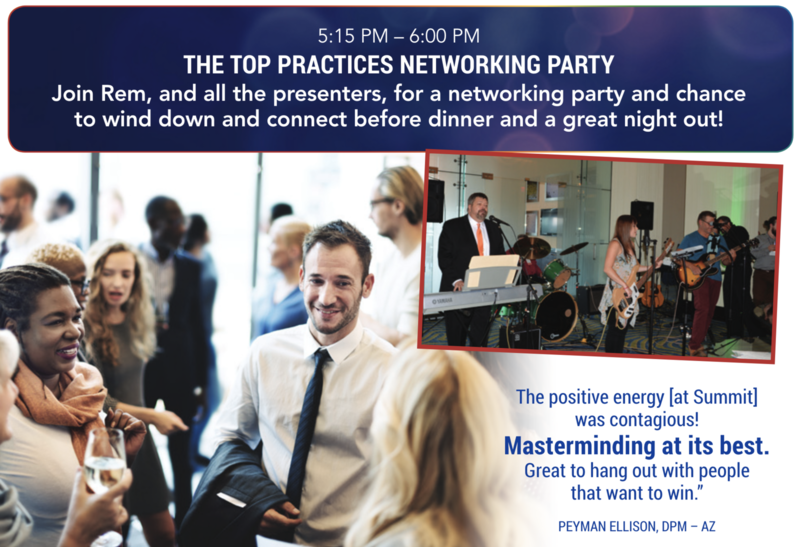 The Top Practices Summit opens with an information-packed, high-energy session led by Top Practices Founder and CEO, Rem Jackson and the most successful Top Practices doctors. Podiatry Prosperity combines state-of-the-art marketing, effective management, and a mindset that protects you from the hurdles routinely being tossed in front of your path. Podiatry Prosperity is for every practice whether small or large, urban or rural, growing or struggling. You went to podiatry school because you wanted a career in medicine that also allowed you a lifestyle you could enjoy. That promise seems to have been taken away by an all-powerful, incompetent government and greedy payers. Rem will show the exact path and plan to fix those problems, knock down those barriers, and find the system to enjoying your chosen profession and reaping the benefits and blessings you wanted the day you went to school. This year the Summit will be opened by THE BEST OF THE BEST. Doctors just like you that can show you what they have accomplished and give you a key tactic they have used to make it happen. Your job will be to listen closely and return to your practice ready to implement the plans shared with you. It’s that simple. Be sure your travel plans make it possible for you to be in your seat and ready when the conference opens at 6 PM! Top Practices is honored to announce that the Keynote Speaker for the Top Practices Marketing and Management Summit is Dr. Marybeth Crane. 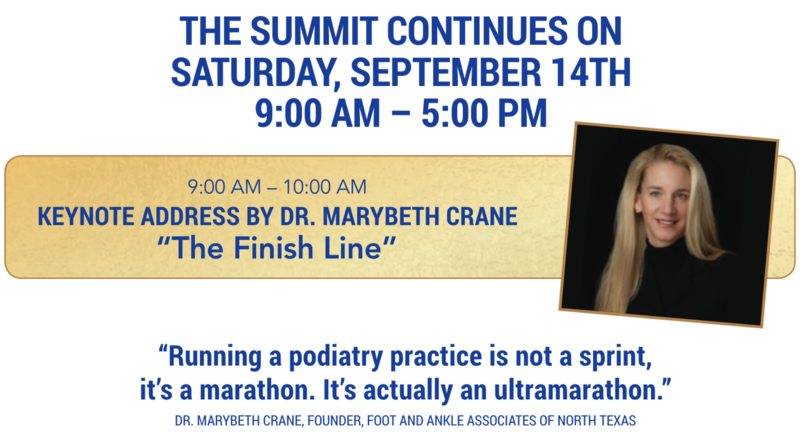 Dr. Crane will share her journey from opening her practice in 1997 with her mother answering the phone—to today’s multi-million dollar Foot and Ankle Associates of North Texas (FAANT) with 2 offices, 6 doctors, and 40 employees. A long-time competitive distance runner, Dr. Crane will share how she faced down a seemingly endless series of challenges that threatened to break her spirit and bankrupt her practice, to now prepare for her exit from private practice on her own terms. Jeff Bezos said, "Time and 10 years make an overnight success.” Dr. Crane wholeheartedly agrees. What people see at FAANT is the visible tip of the iceberg—the growth and success. What is not visible is the 95% below—the focus, systems, and the blood, sweat, and tears it took to achieve that success. It’s the same for distance runners. Crossing the finish line with a personal best is the reward and the most visible moment in the run, but what no one sees is the dedication, consistent focus, and effort it took to succeed. The MOST POPULAR session every year are the presentations by the winners of the Top Practices Awards: Marketer of the Year, The Innovator Award, The Drive Award and more. Learn how practices like yours blew the doors off their marketing from start to finish and achieved their goals. Then, just their footsteps and hit your own ball right out of the park. Every year EVERYONE is blown away by the outstanding presentations and leaves with pages filled with some of the best ideas they’ve ever heard. This year you will benefit from these in-depth case studies. 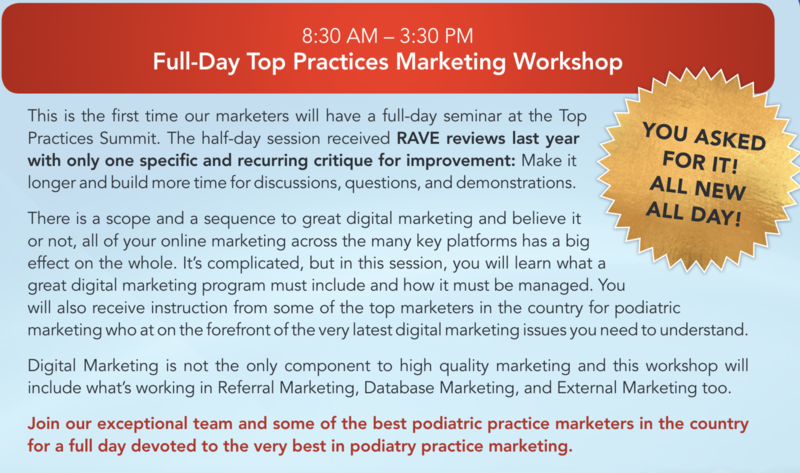 Technology drives innovation in marketing and it certainly has in podiatry. This is extremely good news for podiatrists who understand and know what to do. In this session, Rem and his marketing experts will bust some myths and misunderstandings about marketing in 2019, share what the best strategies for marketing are, and tie them to powerful and essential marketing fundamentals that underpin success. Find out what is working right now and how to profit in your practices. A silver bullet refers to an action which offers an immediate solution to a problem. Silver bullets are often magical, hence the reference to the ancient belief of the special power of weapons made from silver. Is there a silver bullet for your success? This session reveals that the answer is yes and then shows you how it’s done. Really. ✓ Start by knowing what your standards are for yourself, your doctors, employees, and vendors. ✓ Organize a plan from these standards and be able to communicate the plan to all the players you employ or engage. ✓ Coach, train, and lead an increasingly competent and independent team to accomplish your shared goals. ✓ Evaluate, adjust, and continue to lead your team. In this full-day seminar, you and your key staff members will discover, fully-understand, and learn how you can accomplish this in your practice. You will leave with a step-by-step process to lead your team as they take over and build your practice with you. 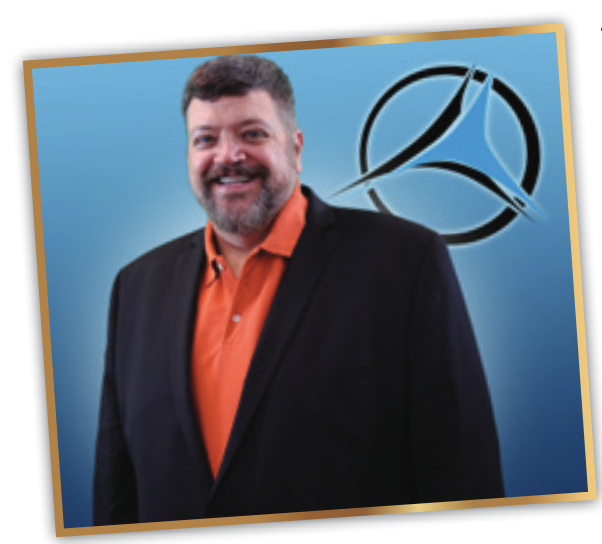 As you learn Podiatry Prosperity skills, you must learn to flourish from our experts. Your staff will be learning their role in the exact same process so that they can support your mission without misunderstanding or confusion. The very same experts guiding you from the leader’s roles will be instructing your staff how they fit into the very same process. ✓ They will know what your standards are for yourself, your doctors, employees, and vendors. ✓ They will understand and learn the plan you will be presenting to them and will tell you how they are prepared to support and extend the goals you have for the organization. ✓ They will learn how coaching and training, will lead to an increasingly competent and independent team to accomplish your shared goals. ✓ They will know how to help you evaluate, adjust, and continue to lead the team. In this full-day seminar, your staff members will discover, fully-understand, and learn how they can accomplish this in your practice. They will leave with a step-by-step process to help you lead your team as they take over and build your practice with you.